This is a great little side table, a great addition to the living room. The size is just perfect for fitting in just where you need it. 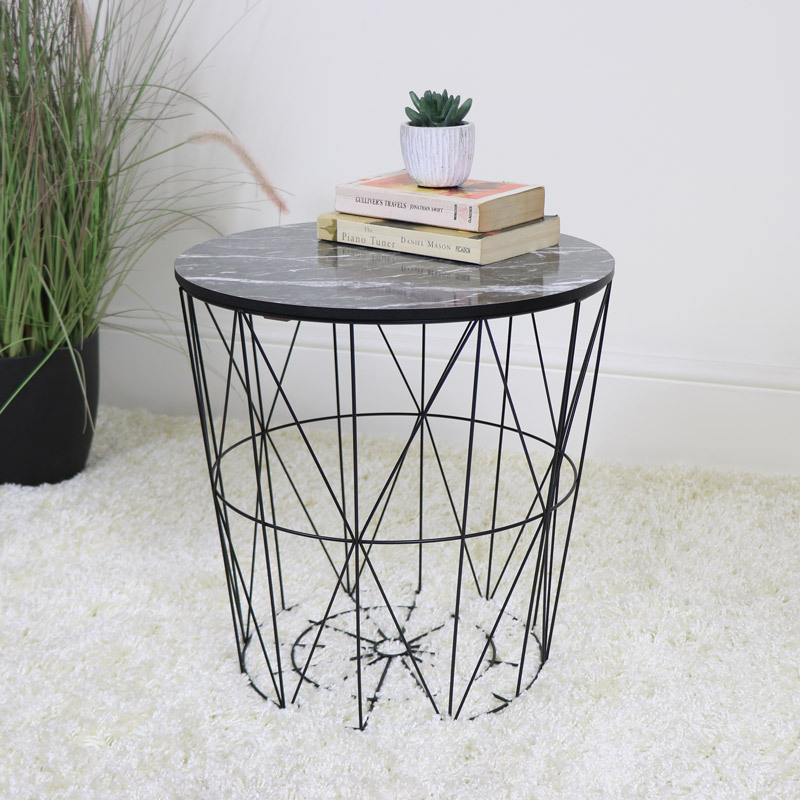 Black marble effect top with a metal basket base. Modern, Scandi look that's ideal for the living room. This offers an ideal storage solution, practical and stylish. 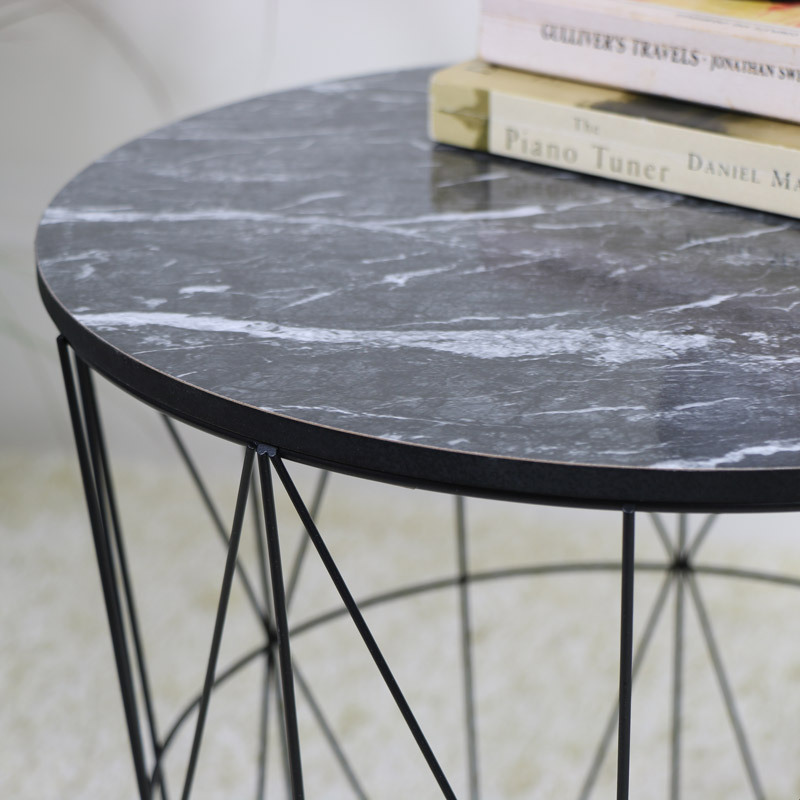 The black and white marble effect top sits neatly on top of the basket, the perfect table for a loft living style apartment. 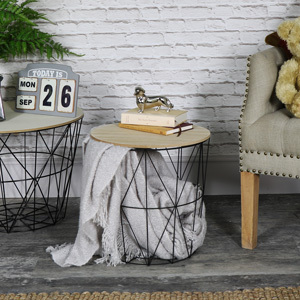 This table is so versatile, doubling as a handy storage for all those bits and bobs and just what you need for those spaces where every bit of storage counts. 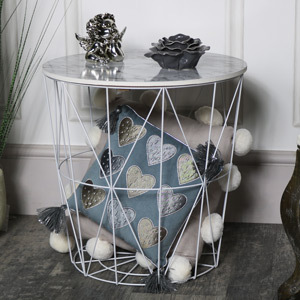 This is a great little side table, a great addition to the living room. The size is just perfect for fitting in just where you need it. 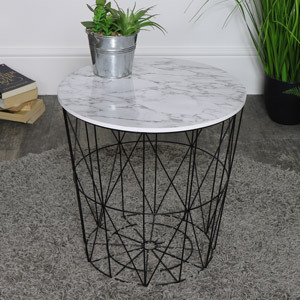 Black marble effect top with a metal basket base. Modern, Scandi look that's ideal for the living room. This offers an ideal storage solution, practical and stylish. 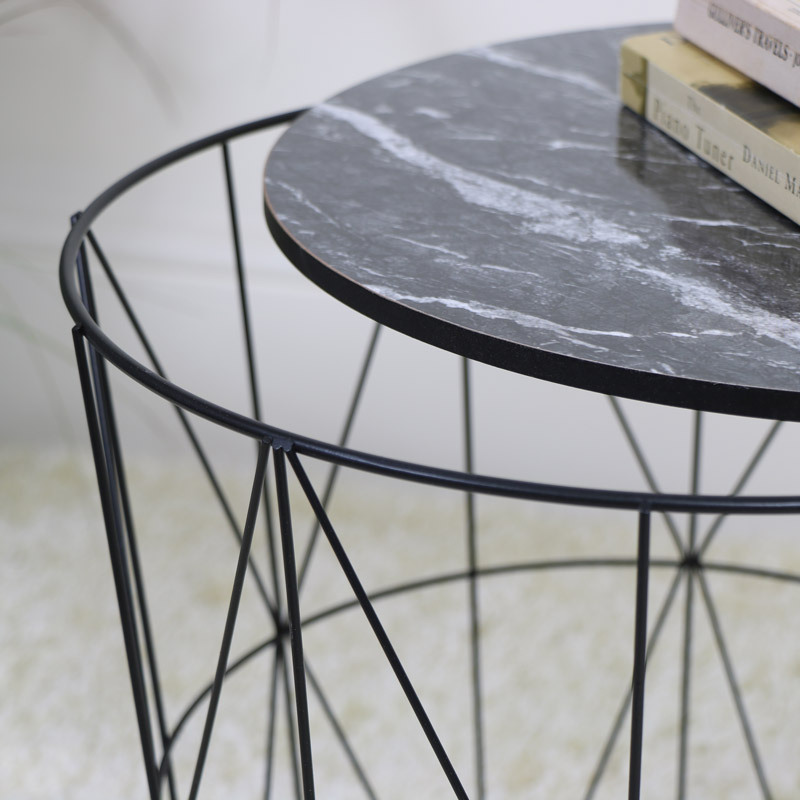 The black and white marble effect top sits neatly on top of the basket, the perfect table for a loft living style apartment. 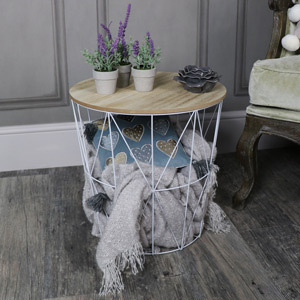 This table is so versatile, doubling as a handy storage for all those bits and bobs and just what you need for those spaces where every bit of storage counts. With a round wooden top in a black marble effect finish which sits snugly on top of the black painted metal base.